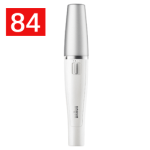 ProsLight and compact design for the face. Occasionally pulls out a stray hair. Doesn’t pluck facial hair effectively. Free manicure set is a joke. Only works on longer hair. SummaryWhile the infomercial makes it seem that removing hair with the Wizzit couldn’t be easier, a pair of ordinary tweezers would work better. 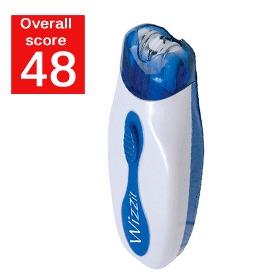 You may have seen the Wizzit hair remover in a late night infomercial on TV. The commercial starts with a woman plucking her chin hairs with a tweezer. 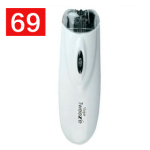 The narrator asks “What is the matter can’t pin the target with your old tweezers?” The company claims that now you can remove unwanted facial on the chin, upper lip, or eyebrows 50X faster with the Wizzit body hair remover. Apparently, it can also be used on the neck, underarms, legs, bikini line, hands, and toes. Supposedly, the gadget finds even short and light hair with pinpoint accuracy like a magnet, removing it at the root. Even men can use it. Best of all, you don’t even need a mirror and you might not have to use it for ages. Sounds too good to be true? Read our full hands on review. The manicure set is a complete joke. When I got the Wizzit electronic hair remover tweezer, I was surprised that the packaging was so huge. I had a hard time opening the package and had to use a box cutter to pry it open. For a product so cheap, I was surprised that inside the box there is an additional manicure set and even a drawstring carrying bag. I felt so special. I guess when we purchased it we acted fast enough that the company was nice enough to throw in the manicure set for free, wink, wink. Okay, I can’t stop laughing . . . this is a serious review. After getting everything out of the box, I was wondering if it came with instructions. I found the instructions tucked away between the cardboard. The instructions are printed in multiple languages- Dansk, Svenka, Norsk, and Suomi. English was on the back. My eyebrows sort of rose when the instructions referred to the Wizzit as the ‘My-Twizze’. I thought: “For reals, has this product been renamed?” The instructions don’t really help with telling you how to use Wizzit hair remover. 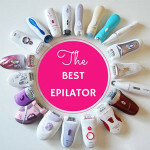 The Wizzit hair removal epilator looks and feels like a toy. 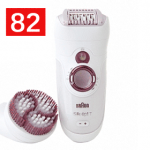 The Wizzit hair removal epilator looks and feels like a toy. It has a somewhat odd shape, but I found it very light and easy to hold. It looks a lot like a small flash light. The smaller size makes it easy to travel with. While I wasn’t too concerned with the blue and white color scheme, I felt the product was made of very cheap plastic. I was afraid that if I dropped it that something would snap off. The blue protection cap at the top can be removed, but it is a little difficult to take off and put back on. Still, given its price, you can’t really expect a lot from the design. When I saw the commercial, I wasn’t sure how the Wizzit removed hair. There are no blades. 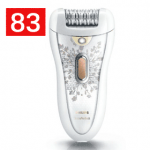 Instead, it is an epilator with 3 electronic tweezers organized in a single line that spin around pretty fast, plucking hair out. 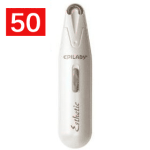 Because the tweezers are oriented in a single line, it gives the epilator a very narrow epilating area. 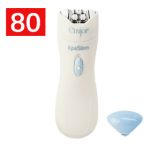 I actually felt that because the tweezers were in a single line, it was easier to use this epilator on the face in tight areas compared to similar facial epilators. While it was sort of scary, I was able to fit the epilator between my eyebrows. It can be used between the eyebrows but not on the nose or the actual eyebrows. However, this design makes it terribly inefficient to use on larger areas. 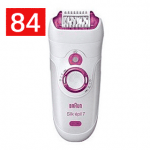 The epilator runs on two AAA batteries which are not included. 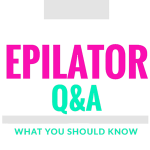 On the back of the epilator is the battery compartment which slides off. I did have a little trouble inserting the batteries because sometimes the spring wouldn’t hold the batteries in place firmly and the battery would dip down into the unit. After a couple of tries, I managed to insert the batteries. When the batteries are low, it does slow down. Like most facial epilators, the batteries die pretty quick. I think it would perform better if it was rechargeable or could be plugged in. On the front of the device is the blue on/off switch. 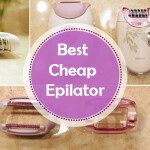 You simply slide it up to turn the epilator on. 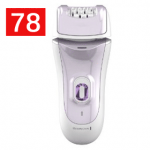 The day before I tried the Wizzit electronic hair remover, I gently exfoliated my skin to help break lose any dead skin. Before I got started epilating, I took a warm shower to soften my facial hair. The Wizzit should be used on clean skin free of facial products. I like to prep my skin with witch hazel to minimize any chance of a breakout. I didn’t find the Wizzit really useful for removing a lot of facial hair. After a couple of passes, I felt that it failed to pluck most of my hair at the root. 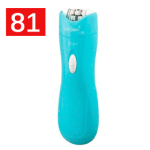 Okay, given the price, I think it is a bit unfair to compare the Wizzit to the best facial epilator. Here is the thing, I thought the junk in the manicure set was better than the actual Wizzit tweezers. Okay, maybe I am exaggerating a bit, but not by much. I didn’t find the Wizzit really useful for removing a lot of facial hair. After a couple of passes, I felt that it failed to pluck most of my hair at the root. Instead, it really only works for that odd long stray hair on the upper lip or chin. Trying to epilate the whole face with it would take just as long as a normal pair of tweezers. I turned on the Wizzit and it began whirring. 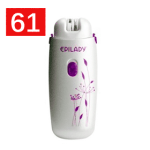 At 60dB, it is not the loudest facial epilator. However, it is not something you can do discreetly in pubic or while the kids are asleep. It works best when you use your free hand to stretch the skin in the area you are removing hair. I first tried the Wizzit on my cheeks where I have fine facial hair. 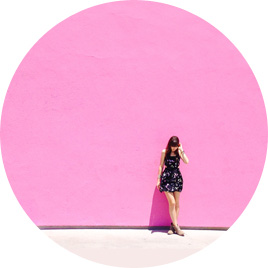 Since hair on the face grows in many different directions using circular movements can help pick up the hair. 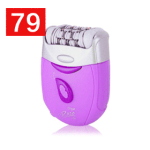 I placed the epilator perpendicular to my skin with the logo facing upwards. 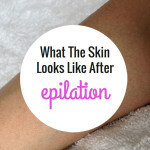 In order to pick up the hair, you are supposed to gently skirt the surface of the skin with the epilator head not rub against it. I found the Wizzit worked better on hairs that are grown out. When I first tried the Wizzit, I found that it wasn’t picking up much hair. I waited a week for the hair to grow out a bit more before testing it once more. I found the Wizzit worked better on hairs that are grown out a bit to about the size of a rice grain. It actually works better using it like a tweezer and going hair by hair. It took me awhile to find out the best way to use it. I tried circular movements and even moving it against the hair growth. You can remove the plastic cover for more closeness. Sometimes I would just roll this up and down my face praying it would grab the little guys, but this method doesn’t work terribly well. It actually works better using it like a tweezer and going hair by hair. Just aim the tweezer at the hair you want to remove. It can be difficult sometimes as the single line of tweezers has to be directly in line with the hair. Doing it this way can take a very long time, but it seems to work better. Each small one inch patch took about 2 – 3 minutes to clear. 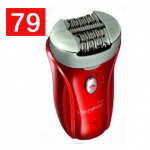 It is not terribly more efficient than tweezers and it is almost impossible to get hairs on an uneven surface. For coarse hair, you can “wizz” your tweezer over and over the hair and it still won’t pick it up. I didn’t find that it worked particularly well on short or fine hair. It has a very difficult time picking up light peach fuzz. Unless they are substantially long, it works horribly for coarser hair on the chin. It is both tedious and not precise. For coarse hair, you can “wizz” your tweezer over and over the hair and it still won’t pick it up. Every once in a blue moon, it will somehow manage to pluck these hairs. However, most of the time it just grabs these hairs and doesn’t have the power to pluck them out. You have to make a great effort just to remove a small amount of hair. Eventually after 3 or 4 passes, it will jar them lose. A pair of tweezers would be far more efficient. Forget about using this on the underarms and bikini line as suggested by the infomercial. Apparently, even men can use the Wizzit on their ears, eyebrows, sideburns, and goatee. Men? Oh heavens. That is a lot of hair. I was laughing so hard when the infomercial shows a clean shaven man using it. He smugly says “I don’t wax and I won’t tweeze, but I would definitely use the Wizzit. It is even easier than my razor. I never thought I would need it but now I will never do without it.” Why am I supposed to believe him? He’s such a terrible liar. Will it leave you hair free for ages? 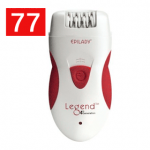 No, this is not a permanent hair removal device. 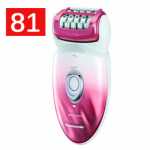 It is an epilator. 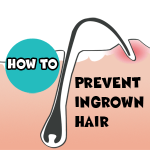 Much like a tweezer, hair that is removed at the root usually takes a few weeks to grow back in. It depends on your own personal growth hair cycle. According to the infomercial, the Wizzit works gently and is not painful. Oh, really! This is yanking your hair out from the roots. 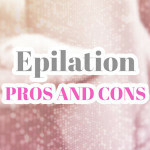 Like all epilators, it hurts. While most fine hair on the cheeks is rather manageable, using this on the upper lip can be very painful. Wizzit hair removal reviews from customers don’t seem very positive. It seems that most customers who have purchased the Wizzit are disappointed that it didn’t live up to the promises in the infomercial. 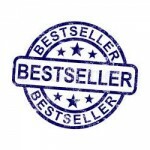 On Amazon, it is getting a 2.8 out of 5 stars, with most people saying it is useless. The ones who have found it useful are only removing stray hair. The Wizzit infomercial seems to make some pretty bold claims that sound pretty impressive. “At the touch of a button, you’ll be neat and trim!” As entertaining as the commercial was, we couldn’t resist putting their claims to the test. Does this little doodad really magically remove unwanted facial hair? After fully testing the Wizzit, we don’t think the Wizzit is designed to remove a lot of unwanted facial hair on the face. It works better to remove the occasional sneaky hair. Like a tweezer, it works best by lining each hair up with the tweezer head. While the Wizzit can remove the occasionally long stray hair, it would probably be easier to stick with just a tweezer. 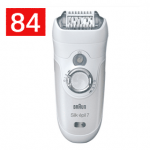 For more facial hair, use a better facial epilator like the Braun Face, Emjoi Epi Slim, or the Bellabe Facial Hair Remover and “wizz” this in the trash.